Where do I begin to sing the praises of this fabulous children’s book for teens? It is about the most essential message you can give to teens: don’t sell yourself and your soul for being part of the group. The book praises individuality, at the same time being really honest about the costs. It is not easy to be a non-conforming teen. This children’s book doesn’t make it look easy, or pretty. The pettiness of the group, the animosity of the group, is there. However, the message is clear – you have no choice in this life except to be yourself, no matter what the cost. I love this message, and not just for kids! I took it to heart myself. The heart of this children’s book is a free-thinking high school sophomore self-named Stargirl, who is both ego-less and altruistic, practicing kindness in ways unheard of in a high school. I especially appreciate that she learns how to be herself through her own practice of meditation. The book has a small sequence where Stargirl teaches her boyfriend (the book’s narrator) how to meditate, and the instructions are perfect for a teen audience. To be fair, an adult friend of mine read the book, loved the message, but felt that the characters were inconsistent. In some way, I agree that for the author, it seems that the message is more important than the crafting of spectacular character development. However, I don’t think this takes away from the value of this children’s book. 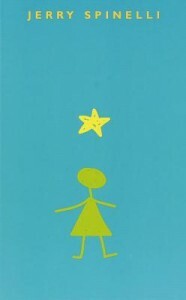 There is a sequel called Love, Stargirl that I read, but did not like as much.